Artificial intelligence, microprocessor’s privileged processing, tamper-proof data, Linux kernel virtualized apps, and improved network virtualization are some of the new technologies heading to the cloud. Some of these resources are already created but have not yet lived up to their full potential. Others are still on the horizon and are considered theoretical in nature. 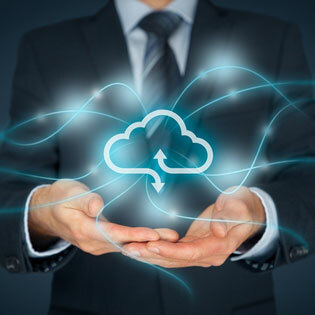 Either way, these new technologies will reshape the way cloud computing exists. In most cases, as these become more readily available, they will be used by the larger corporations. Like all products, after these become commonly used the price will become more affordable for all industries. A cloud service provider like TOSS C3 can help you to learn more about emerging technologies for the cloud. Software-defined networking is the ability to control programmable switches because the control plane is decoupled from the forward plane. Ultimately, the SDN helps the network admin to regulate network data transfer. Through a practice known as ‘bandwidth throttling’, the server knows which packets have a higher priority, and therefore, sends those first. This allows the administrator to prioritize, de-prioritize, reprioritize, or block packets with little effort. Network functions virtualization decouples system functions from dedicated devices. According to TechTarget “This capability is important because it means that network administrators will no longer need to purchase dedicated hardware devices in order to build a service chain.” SDN and NFV will be used in tandem. While the SDN deals with packet management, the NVF will be responsible for the control functions virtually. An application is installed on your computer, and to run some of its core operations it may install its main operations into the kernel of your operating system. This is the idea behind a unikernel. This would allow the application to use your computer’s privileged mode, and therefore run faster. The thought behind this technology is to make applications safer to run and there may be less code needed to gain the same performance levels. Machine learning is considered a lesser form of artificial intelligence. Machine learning is the offshoot of data mining in which it sorts through large databases of data to identify patterns and establish specific relationships. Through preexisting verified data the computer learns to amend to the proven relationships to establish new considerations of relationships. This forms a type of learning within the computer. It begins to establish new rules to follow, much like a human does. Container orchestration technology is not much different than unikernels, in that it uses Linux kernels to extract code and run virtual applications. This technology is not really worth the time when running smaller services, but when you are talking about using the cloud, then this is a gold mine. It will allow cloud service providers to run multiple apps seamlessly between servers. Even in this case, it cannot be performed by hand (not yet anyways). Download the white paper: Small Business Networking. The way blockchain transfers data makes hacking almost impossible. In order to hack a chain the hacker must first get through the first link, then the next, then the next, etc. Since the data is running all the time and appends to the end of the chain, the hacker most likely will never reach the end of the chain. It also makes it easy to verify data admitted into the chain. Since the data is time stamped and the user is attached to the data link, it is easy to verify who sent what and when it was sent. Because the size of these chains can get quite large, which means there has to be storage (a lot of it) to store the larger ones, some companies are working on an alternate chain process. This alternate chain would allow different chains to hold different types of data. That way it is easier to access specific data from a chain, and alternate chains could be moved as needed to other servers for storage or flexibility.